Many consumers are unaware that their loyalty schemes and credit cards come with a number of restrictive terms and conditions. Penalty charges can be applied to customers who aren’t staying as loyal as they should be. Loyalty schemes were designed to give a little something back to the customer but this doesn’t mean the deal is all one way. The loyalty scheme providers do want to make sure that the schemes work in their favour and are not open to abuse. Loyalty schemes will come with a number of terms and conditions. These terms and conditions will be built into the contract and will be agreed to when a customer signs the contract. This is common business practice and will occur whether the loyalty scheme is through a credit card or a store card. Many customers who sign up to loyalty schemes through their credit cards barely read the terms and conditions. By simply skimming the contract they are missing a number of restrictive terms and conditions. The restrictive terms will differ between loyalty schemes and their providers. Not fully knowing the terms and conditions can mean that customers will not benefit from their loyalty schemes. It can also lead to customers actually being charged a fee or having their loyalty scheme withdrawn. One financial charge that often takes people by surprise is the inactive use fee. This fee can be applied when customers do not use their accounts. 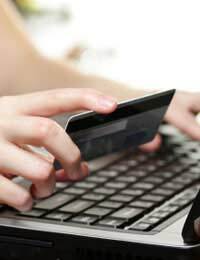 Many credit companies apply charges to customers who let their accounts lie dormant. Companies are now setting up ‘low use’ fees for customers who rarely use their credit cards. This business practice is perfectly legal and should be stated in the numerous contract terms and conditions. The main reason companies impose these fees is to make a profit. It also a way that companies can either nudge customers into using their credit cards or to weed out the customers who aren’t using the cards. Understandably many customers are surprised and unhappy about these fees, especially if they weren’t aware of them. There are customers who keep their credit cards simply for emergency use, but this won’t make the provider a profit. All providers will say that their fees and charges are perfectly fair and legal. The fact that they are stipulated in the contract means that customers should be aware of them and have agreed to them. But consumer watchdog organisations do state that customers should complain when these charges are applied. Sometimes a complaint is all that is needed to see these charges refunded. Unhappy customers can always take the option of hitting the provider where it hurts by transferring to another provider. There is no doubt that credit providers are looking for new methods to make their services, including loyalty schemes, more profitable. Disloyal customers are not profitable for providers and this is why they apply restrictive terms and conditions. Customers should always read the small print, regardless of whether they are applying for a credit card or store loyalty card. Irregular use or not sticking to the terms and conditions could mean financial rewards for the provider not the customer.